School-Based Health Centers provide students and their families access to health care in a location that is safe, convenient, and accessible. Centers typically offer a variety of services—primary care, immunizations, sick and injury care and health education—that enable children and adolescents to thrive in the classroom and beyond. 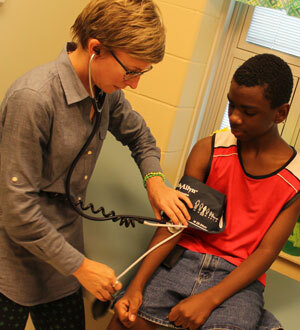 In addition to serving students, school-based health centers are often available to members of the communities. Click here for hours and locations.